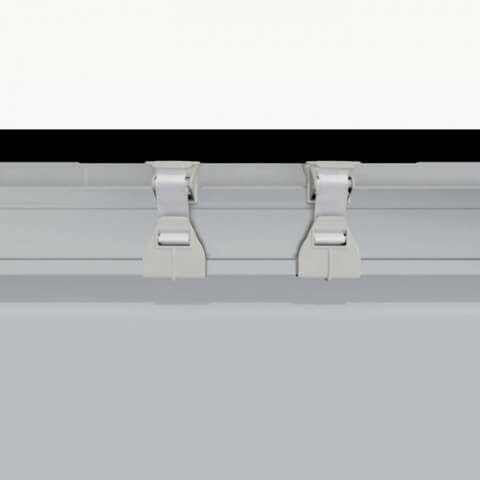 Curvorama Universal kit comes with both wall-mounting clips for shell scheme lining and legs and feet sets for free-standing use. 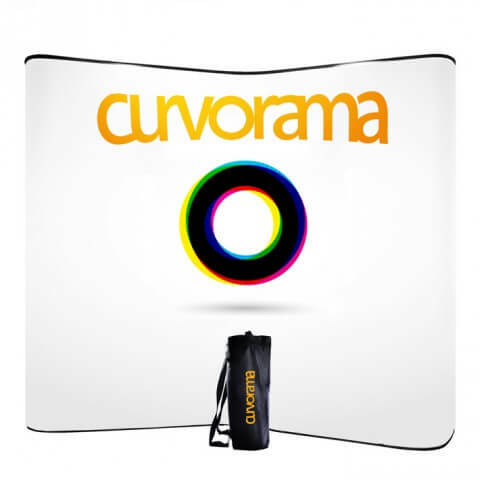 Curvorama Universal kit copes with any venue. Although the Universal kit is as big as a pop-up and much more versatile, all this fits into a neat, padded, case which can also be worn like a rucksack or carried like a sports bag and which is so compact that it can fly as hand luggage on some airlines. Where you will only fit one pop-up in your car you could get at least 10 Universal kits in, should you ever need to do so. 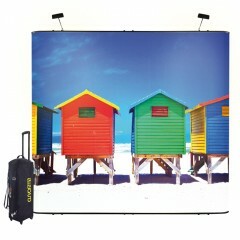 Better yet, you could join them all together continuously if you wanted to, and make one giant backdrop 30 metres long! 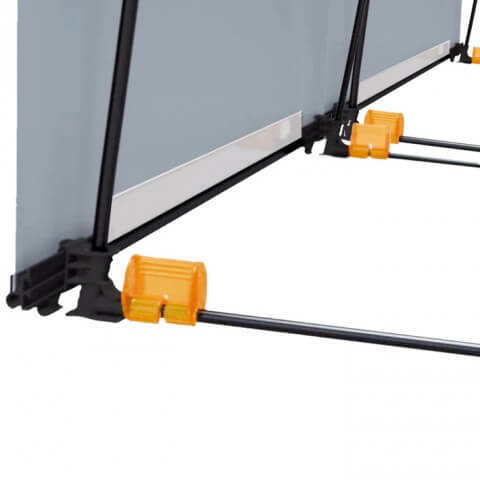 Apart from the wheeled case, a Universal Kit includes 3 x 600mm flexible panels, 2 x 600mm straight panels and 5 sets of wall-mounting clips in a bag which is printed with full, simple instructions. This means that, unlike any other display system you can buy, Curvorama does it all – free-standing, shell scheme-lining, instant curving and instant joining.. The panels can be used in any order. 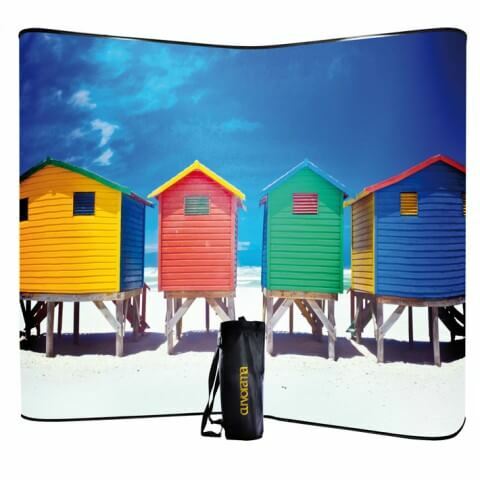 The graphics are printed on a unique tri-layer, hang-flat media with solvent UV ink that is both vibrant and very hard-wearing. Each graphic panel comes with a roller tube and a cloth packing bag which is also printed with simple packing and assembly instructions. The top and bottom rails of the graphics self-locate magnetically so that the graphics align themselves. 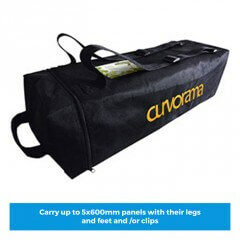 All Curvorama kits can be added to with any combination of Curvorama panels – 600mm, 800mm, straight or flexible. The Universal kit does not come with lights but these too can be added and fit to the top of the legs.